Can You Grow a Avocado Tree in Pennsylvania? How Often Should I Water My Avocado Plant? How Deep Do You Plant an Avocado Seed? The Avocado tree, or Persea Americana, is a tree native to Mexico. Its fruit is a large berry with a single large pit in the center. Growers in the warmest parts of the United States cultivate avocado trees commercially, especially in California. Home gardeners also raise individual avocado trees. You can grow an avocado tree from seed, although the resulting tree may have different characteristics from its parent. Ensure your climate is warm enough to grow an avocado tree. This tree is only hardy in U.S. Department of Agriculture plant hardiness zones 10 and 11. This means that the temperature must remain above 40 degrees Fahrenheit during the winter. Select the planting site for an avocado tree. It will need full sun to produce fruit, although it can grow in partial shade. Ensure you have no desirable plants within 20 feet of your avocado tree, since it can choke out other plants within this distance. Prepare the soil in the planting site. The best soil for an avocado tree is sandy loam, and the soil must have good drainage for the avocado tree to survive. The pH level of the soil should be between 6.0 and 7.0. Add limestone to the soil to increase its pH, and add peat moss to reduce the soil pH. Allow an unrefrigerated avocado to completely ripen when the outside temperature remains between 60 and 70 degrees Fahrenheit. Carefully remove all of the flash from the pit without damaging it. Plant the avocado seed in the soil with the pointed end up, so the tip is just above the surface of the soil. Keep the soil moist, and the seed should sprout in two to six weeks. 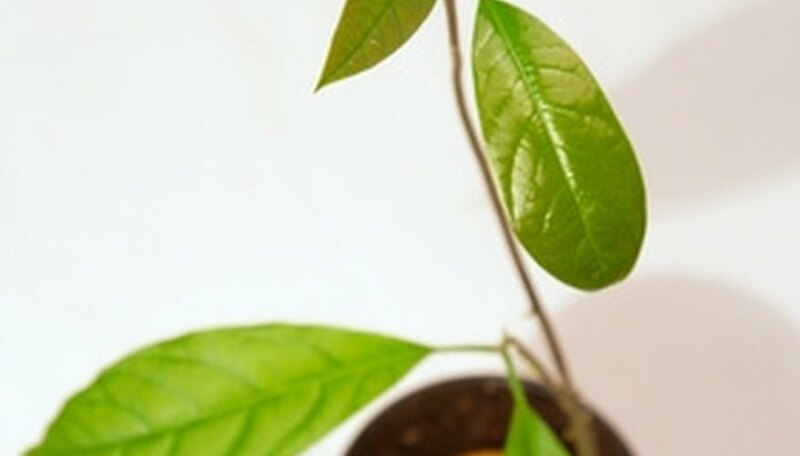 Allow the avocado seedling to grow to about 1 foot in height. Pinch the growing stem at 6 to 8 inches to make the avocado tree develop a fuller shape. Avocado trees can be grown in containers in Pennsylvania and moved indoors during the winter. Avocado trees grow in the landscape in tropical and subtropical regions. They are damaged or killed by frost. The California Rare Fruit Growers, Inc. (CRFG) recommends in its "Avocado Fruit Facts," article that before watering your avocado plant, you should dig a hole nine inches down in your garden soil and grasp some of the soil and then press it together with your fingers; if the soil is moist and holds together, then it is satisfactorily irrigated; however, if the soil falls apart in your hand, it is in need of watering, CRFG maintains. 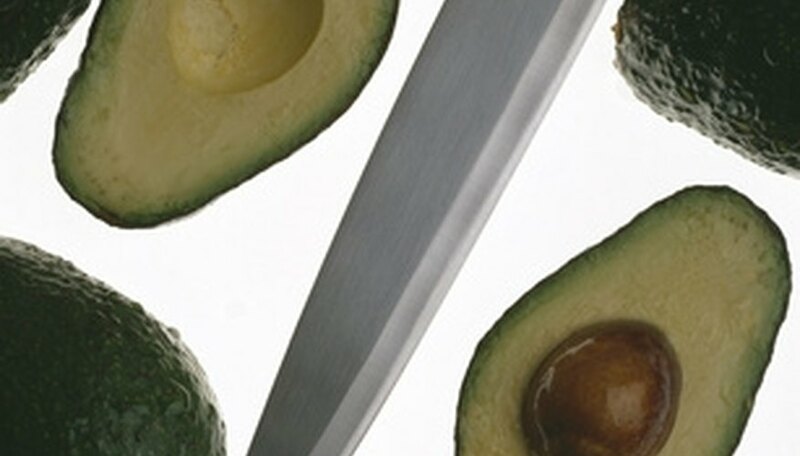 The "Avocado Fruit Facts," article explains that avocado trees may not require watering during the winter rainy season but suggests that you should watch for extended mid-winter dry spells, while at the same time being vigilant about excessive watering that it says is the most common cause of avocado failure to thrive status. Watch soil moisture cautiously at the end of the watering season, and the CRFG website article warns to never enter winter with wet soil feeding the tree. 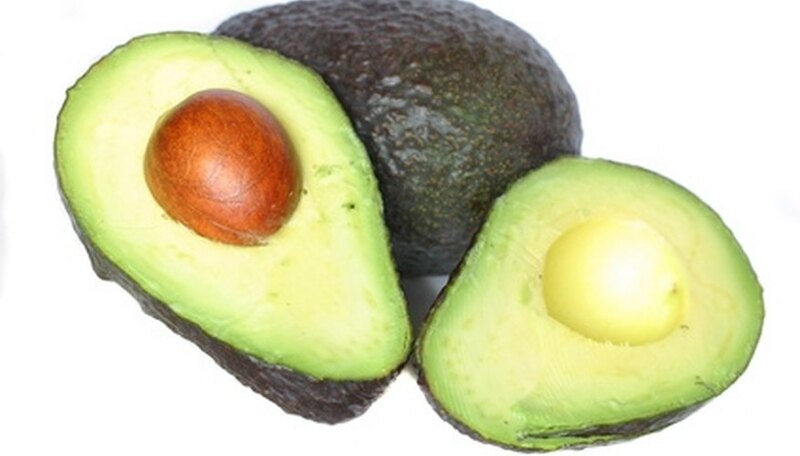 The website further advises that avocados tolerate some salts but the plant can show leaf tip burn and stunting of leaves, while deep watering will strip salt accrual. Spray or paint the whitewash onto young trees immediately after planting. Strain the solution, if needed, when using a sprayer. Coat the trunk and exposed branches, avoiding the leaves. Coat the exposed trunk and branches of all avocado trees with the whitewash solution immediately after a freeze, hurricane or leaf drop for any reason. Even a small amount of sun can damage healthy trees when the leaves fall off. Plant avocado seeds flat side down with the pointed end facing up. Leave the top inch of the seed exposed. Keep moist until sprouts appear in four to six weeks. Check your local nursery first for any true dwarf Hass avocado trees, which is a miniature version of the Hass variety that still produces the same fruit. At nurseries, the dwarf Hass may be called a Wertz, Littlecado or Minicado. Contact specialized avocado nurseries in the area or surrounding cities to see if any dwarf Hass varieties are coming onto the market (new hybrid varieties pop up occasionally). 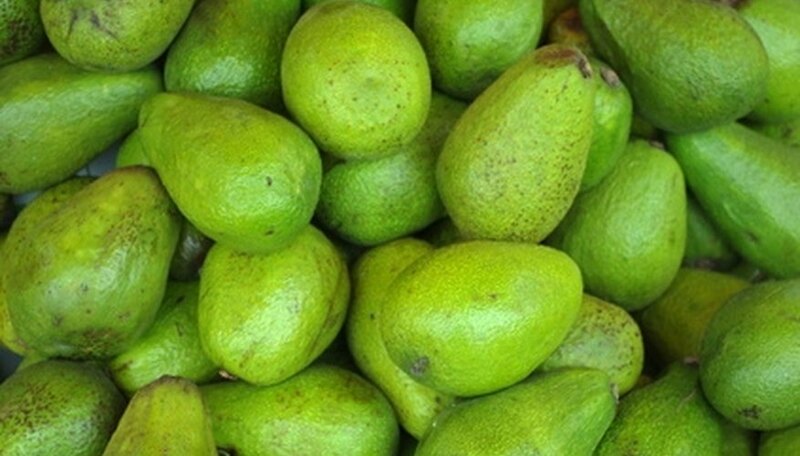 Search for dwarf Hass avocado trees at rare plant sales or at farmer's markets, particularly in California and particularly in San Diego, where about 60 percent of the state's avocados are grown. 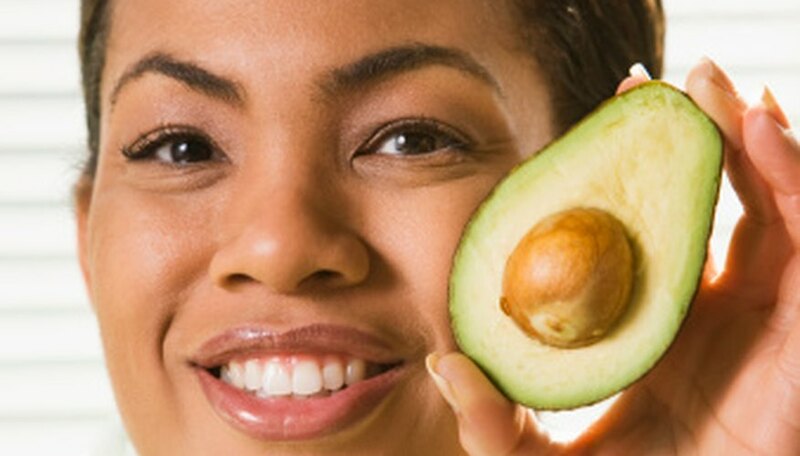 Remove the seed from the avocado fruit. Wash the pit in lukewarm water to remove any residue. Insert three to four wooden toothpicks in the seed halfway down the sides. The pointed end is the top and the broad end is the bottom. Place the seed in a small glass filled with water with the bottom in the water and the toothpicks resting on the glass rim. Place the glass in a sunny window with bright light. Add water to the glass as needed to keep the lower portion of the seed in the water. In a few weeks, small roots will appear growing in the water. Tiny leaves will soon develop growing from the top. Remove the toothpicks from the seed when the roots are 2- to 3-inches long and the main stem is growing from the top. Plant the seed in a 6- to 8-inch container filled with potting soil. Place in an area with bright, indirect light and keep the soil moist. Halve one avocado, remove pit, and scoop flesh into medium bowl. Mash flesh lightly with onion, garlic, jalapeño, cilantro, salt, and cumin (if using) with tines of a fork until just combined. Halve and pit remaining two avocados, and prepare according to illustrations 1 and 2 below. Gently scoop out avocado into bowl with mashed avocado mixture. Sprinkle lime juice over diced avocado and mix entire contents of bowl lightly with fork until combined but still chunky. Adjust seasoning with salt, if necessary, and serve. (Can be covered with plastic wrap, pressed directly onto surface of mixture, and refrigerated up to one day. Return guacamole to room temperature, removing plastic wrap at the last moment, before serving). 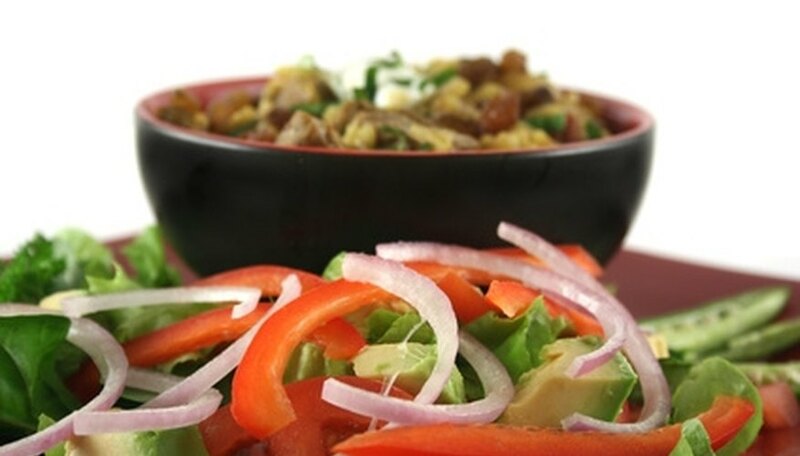 Follow recipe for Chunky Guacamole, substituting 3 large scallions, sliced thin (about 1/3 cup), for onion and adding 6 slices cooked, drained, and crumbled bacon with 1 teaspoon rendered fat and half a medium tomato, seeded and diced small. Fertilize your avocado trees one to four times per year, beginning in the spring, in accordance with the product label dosing recommendations. You will need to apply slow-release fertilizers at less frequent intervals than fast-acting fertilizers. 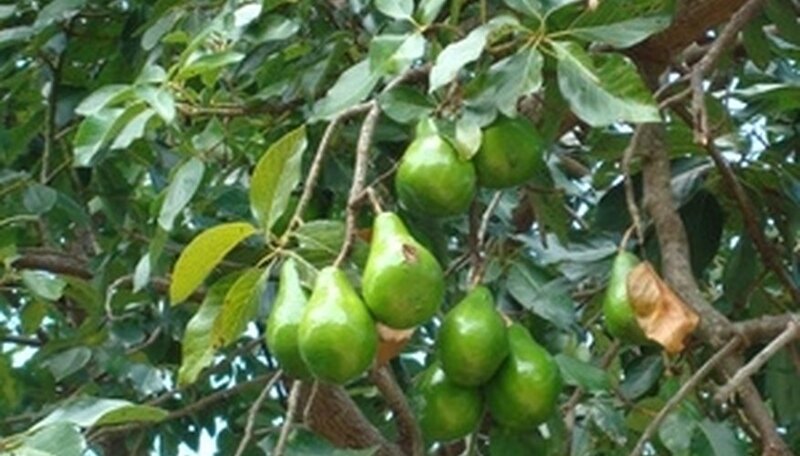 Feed young avocados trees that are not yet producing fruit with a 10-30-10 fertilizer or similar, high-phosphorous formulation. Feed your mature fruit-bearing trees with a 10-5-20, a high potassium quotient, to support fruit development. Put on garden gloves and scatter the recommended dose of fertilizer evenly over the entire root zone, beginning 1 foot or so out from the trunk and spreading 1 to 2 feet beyond the outermost line of the canopy. Water the fertilizer into the soil well and evenly, drenching the soil to a depth of at least 1 foot with each application. This will drive the nutrients down into the root zone.